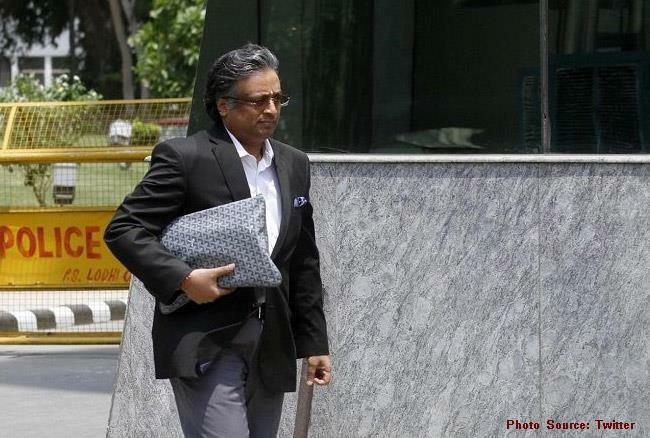 New Delhi, Feb 8: A Delhi court on Friday sent lawyer Gautam Khaitan, accused of money laundering in connection with a black money case, to judicial custody till February 20. Subsequently, Khaitan moved his bail application in the case before Special Judge Arvind Kumar. The court has asked the Enforcement Directorate (ED) to file its response on Khaitan's application and said that it will hear the bail plea on February 15. Khaitan was arrested on January 25, a week after the Income Tax Department raided his offices and various other properties in Delhi and the National Capital Region (NCR). The ED said that Khaitan was "controlling" the modus operandi and was responsible for routing money, misusing his connections and clients, including the ones inherited from his father, to launder money through a variety of accounts in Dubai, Mauritius, Singapore, Tunisia, Switzerland, the UK and India. Agency officials said the accounts included those belonging to his undisclosed shell companies outside India. He got bail in January 2015 and was again arrested along with Sanjeev Tyagi, another accused in the case, on December 9, 2016, by the Central Bureau of Investigation (CBI). He later secured bail. The CBI charge sheet had described Khaitan as the brain behind the AgustaWestland deal.